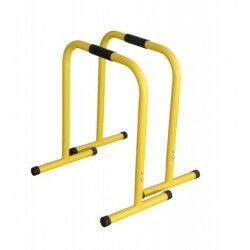 Perfect for home gym, group fitness, boot camp, or personal training studio. Build strength and muscle control through body weight training. 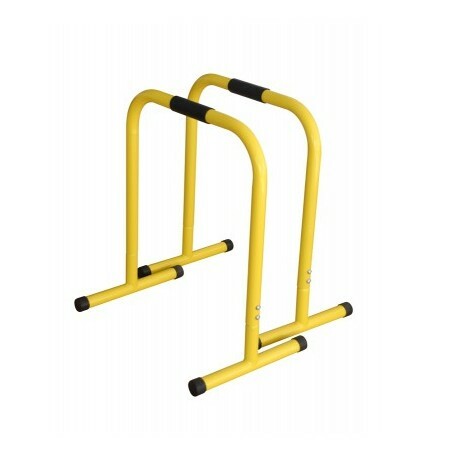 Perform core exercises and many gymnastics style movements, including hand stand presses, dips, hand stands, bicycle kicks, hurdles, push-ups, V-sits, tuck-holds, burpees, shoot-throughs, L-sits and many others using body weight as resistance. 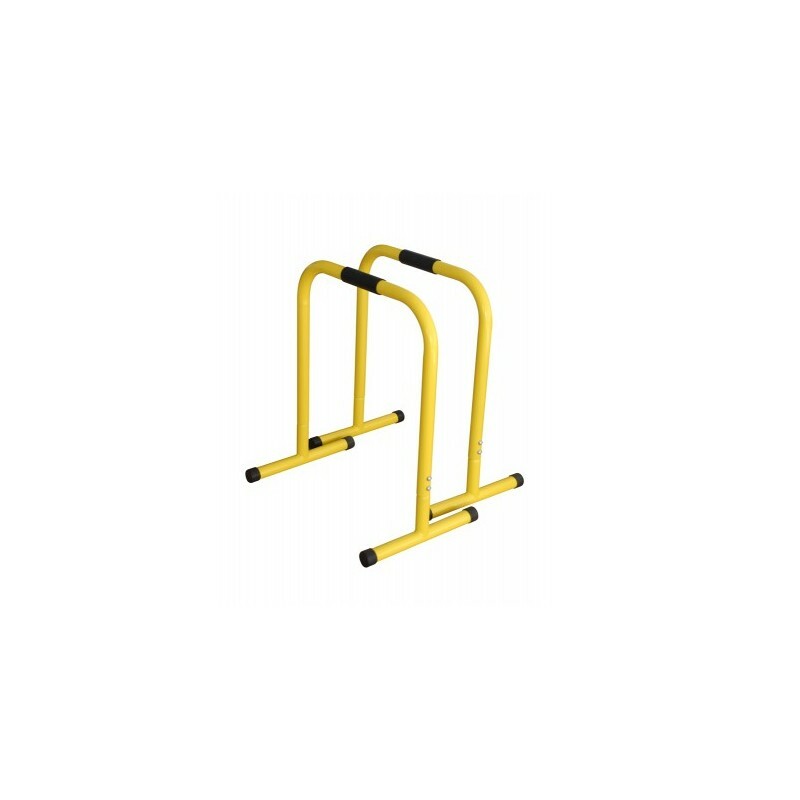 Steel tube construction with rubber grips and stabilizer feet for secure grip during training.